Nancy is a retired pediatric nurse and a frequent contributor to Chicken Soup for the Soul and Guidepost magazines. She and her husband moved to North Carolina in 2009 after living and working in Clinton County, Pennsylvania for thirty-four years. They have two children and four grandchildren. They love being in, on or near the water with their family. 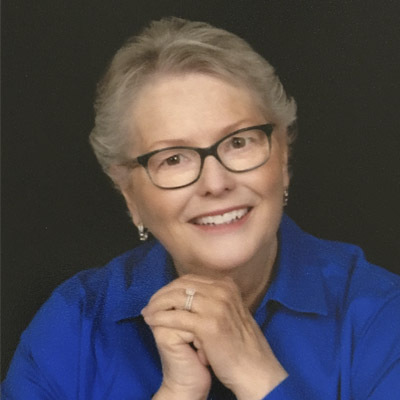 Nancy Panko’s novel, Guiding Missal, began as a result of an effort to re-create her father-in-law’s military history as a gift for her husband on the 50th anniversary of the Battle of the Bulge. As she held the pocket-sized prayer book in her hand, she thought: “If only this book could talk.” It was then that the idea for her first book Guiding Missal was conceived. If this little book could only talk! 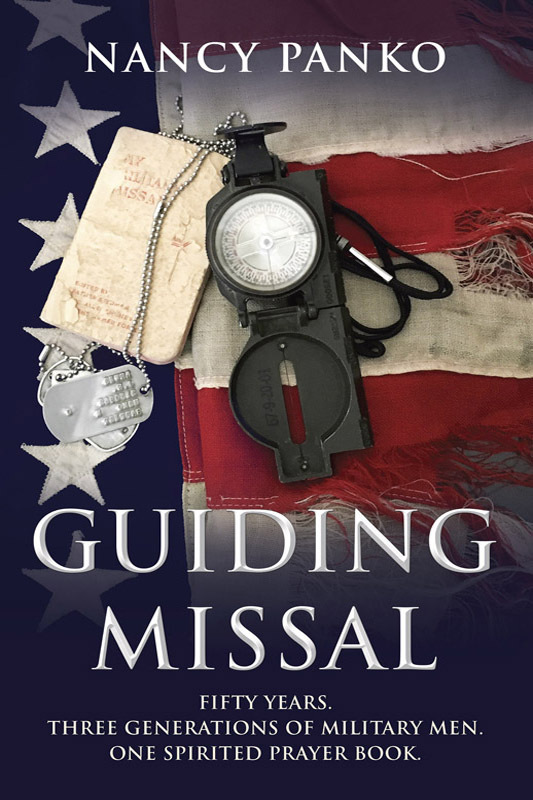 Guiding Missal is based on a true story about a lively prayerbook that accompanies three military men as they live through momentous events in our nation’s history. In 1942, George Panko is drafted into the U.S. Army and volunteers to be a forward observer conducting covert operations behind German lines during the Battle of the Bulge. In his combat jacket pocket, he carries a small prayer book, My Military Missal. The little missal provides solace as well as a running commentary on the battle and the deeds that earned George two Bronze Stars. George’s son, Butch enlists in the United States Air Force in the 1960’s. Before his son leaves for basic training, George entrusts Butch with his tattered military missal. Butch finds himself decoding top secret information in an underground bunker during the height of the Berlin Crisis. He and the little book are praying that WWIII isn’t about to break out. Fast forward to 1991: Butch Panko’s future son-in-law, T.O Williams, overcomes a debilitating condition to enlist in the U.S.Army. In 1992, the newlywed is grateful for the well-worn prayerbook Butch gave him just before he’s deployed to Africa. He and the book find themselves plunged into an unrelenting fight for survival on the streets of war-torn Mogadishu, Somalia, during Blackhawk Down. By God’s grace, they both live to tell a miraculous story of deliverance in that hopeless situation. Deftly combining fast-paced action with humor, history, and scenes of family tenderness, Guiding Missal is an inspiring account of God’s faithfulness in times of trouble, making it a must-read for history buffs as well as anyone who seeking hope and encouragement for self or others. "Nancy Panko’s clever tale is as comforting as a guiding missal in one’s shirt pocket, tucked close to the heart."